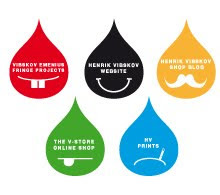 Henrik Vibskov Boutique: Six scents Series Two in store now! Six scents Series Two in store now! 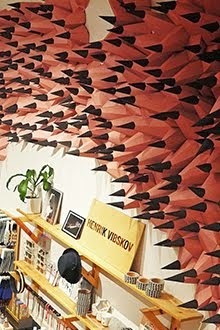 This time Henrik Vibskov is one of the selected designers that has gotten the chance to create a perfume. 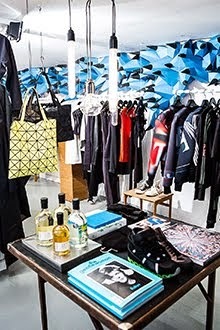 The five others are Phillip Lim, Damir Doma, Henry Holland, Richard Nicoll and Toga. In collaboration with Givaudan, Six Scents Series Two explores the relationship between artist and nature through a collection of fragrances, stories, films, art and photography, instigating the desire to preserve our environment so that others can continue to be inspired by the beauty, power and intrigue of nature. A portion of proceeds are donated to Pro-Natura in support of their environmental sustainability programs. Each products comes with an limited art piece and a DVD film in addition to the parfume bottle.